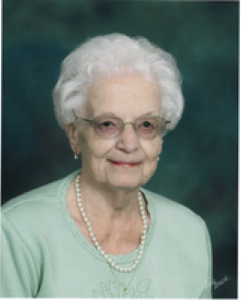 Martha C. Holthuas, 83, 216 Harvard Ave., Sidney, Ohio died at her residence on Sunday, May 6, 2007 at 7:20 AM. She was born November 15, 1923 in Fryburg, Ohio, the daughter of Ferd and Cecelia (Frankenberg) Steinke and they are deceased. She moved to Sidney in 1949 from Ft. Loramie, Ohio. She was married in 1946 to Clement Holthuas and he died in 1986. Surviving are eight children, Joe and wife Fran Holthaus of Sidney; Vernon and wife Marcia Holthaus of Maplewood, Ohio; Teresa DeLand and husband Glen of Sidney; Michael and wife Mary Holthaus of Sidney; James and wife Debra Holthaus of Sidney; Barbara Mentges and husband James of Sidney; Clem Jr. and wife Kelly Holthaus of Baltimore, Maryland and David and wife Gloria Holthaus of Sidney; 26 grandchildren and 3 step-grandchildren and 4 great-grandchildren; two sisters, Fredonia Staley of Sidney and Virginia Burden and husband Richard of Botkins, Ohio; four brothers, Leo Steinke of Sidney; Alvin Steinke of Fryburg; Donald Steinke and wife Martha of Sidney and Eugene Steinke and wife Alice of Wapakoneta; one sister, Delores Schaub is deceased. Martha was a member of Holy Angels Catholic Church and was in the Altar Rosary Sodality. She had been a cook for the Holy Angels Parish for many years and also cooked at Dorothy Love Retirement Community. A Mass of Christian Burial will be held on Wednesday, May 9, 2007 at 10:30 AM with Rev. Gerald Bensman and Rev. Patrick McMullen con-celebrating. Burial will be at Graceland Cemetery, Sidney, Ohio. Friends may call at Salm-McGill and Tangeman Funeral Home on Tuesday, May 8, 2007 from 4-8 PM and on Wednesday, May 9, 2007 from 9:00 AM until 10:00 AM. Memorial contributions may be made to Holy Angels Catholic Church, 324 S. Ohio Ave., Sidney, Ohio 45365. Envelopes will also be available at the funeral home.